For the past several months I’ve worked with a new children’s book publisher, Purple Toad Publishing (http://purpletoadpublishing.net/). The editor, Cynthia Cope, is great! She replies to my emails and is friendly and pays promptly—something every writer enjoys! Better yet, she has assigned me to write two Middle Grade books for her company that were recently published. I’m so excited about both of them! The first was a biography of Big Time Rush, the wildly popular boy band with a hit TV show on Nickelodeon channel. These boys are not only cute but funny and talented! I think they’re great role models and look forward to promoting their music via this book. The Big Time Rush book, part of a series called Beacon Biography, has beautiful full-color photos of the group with interesting text that tells how the group got started. Did you know which member of Big Time Rush won a part in a Super Soaker water gun commercial which helped him decide on a career in show business? I’ll post the answer here in a few days. Watch for it! 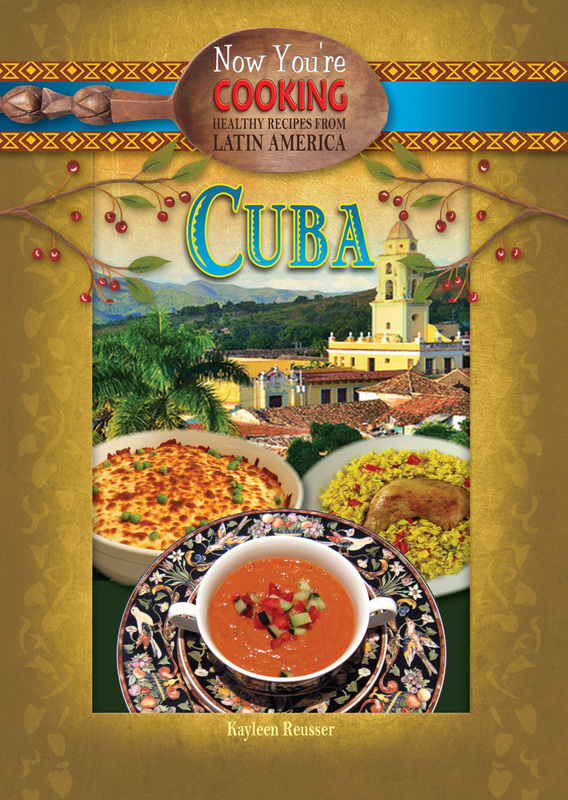 My second book to be released from Purple Toad Publishing is Now You’re Cooking: Cuba. Talk about food to make a person hungry just by reading about them! These 10 recipes are healthy, affordable and fun to make! They include traditional dishes like Arroz con Pollo and some not-so-traditional dishes like Praline Coffee Soufflé. Yum! The layout in this book is so attractive that women have purchased it, even though it is written for kids in grades 4-8. Go for it, Grown-ups! Both of my Purple Toad Publishing books are also available as EBooks. Hurray! 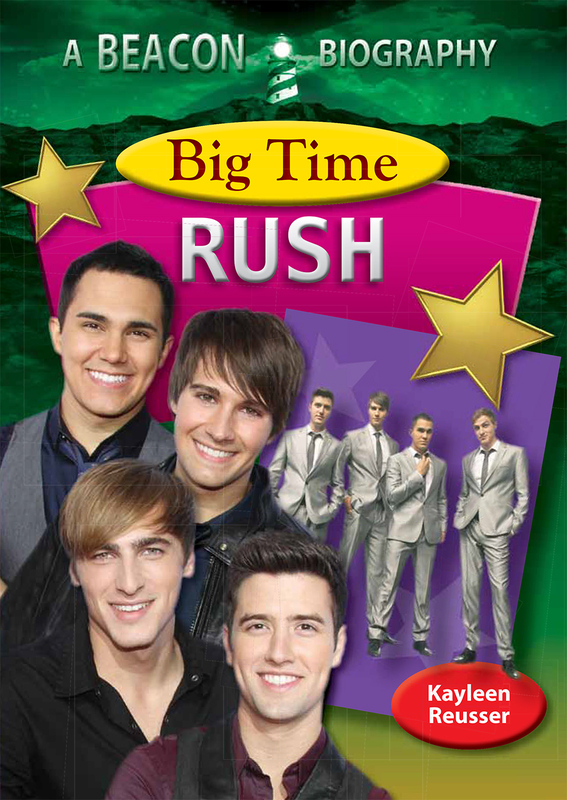 Big Time Rush is offered as part of a 7-book series. Cuba is offered as part of a 4-book series. I’m lining up speaking engagements, cooking demos, and book talks now about my 11 books. Please contact me at xxxkjreusser@adamswells.comxxx (delete the x’s which were added to minimize spam). I can do talks on my 3 Greek gods books (Hades, Hephaestus, Hermes), the importance of volunteering (Celebrities Giving Back); crafts & recipes from the country of Indonesia (Recipe and Craft Guide to Indonesia) and the importance of setting goals, featuring biographies of Taylor Swift, Selena Gomez and Leona Lewis. Now a question for you. What children’s book would you want to read or see in print? I’m anxious to read all of your responses and may pass them to Cynthia for a future assignment! Middle Schooler Loves Reading about Greek God Hades! You rock, Kayleen! So happy for you! Thanks Drema! It was great fun writing them and I’m anxious to see where these books will lead me!